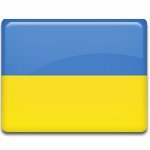 Dignity and Freedom Day is a Ukrainian observance that marks the anniversary of Euromaidan, a wave of demonstrations and civil unrest that led to the 2014 Ukrainian revolution. Celebrated on November 21, it was established by President Petro Poroshenko on November 13, 2014 and has been observed every year since. In 2013, the Ukrainian government was supposed to sign the Ukraine—European Union Association Agreement but decided to suspend the signing, instead proposing a three-way trade agreement between Ukraine, Russia, and the EU. This decision sparked a wave of protest and civil unrest. It was, for all intents and purposes, the last straw for people tired of government corruption, abuse of power, and violation of human rights. On November 21, university students and opposition activists began to gather in Maidan Nezalezhnosti (Independence Square) in the center of Kyiv. They demanded that the government stop seeking closer relations with Russia and sign the Ukraine—EU Association Agreement. After a few days of peaceful demonstrations, the first clashes between protesters and police began. In the early morning of November 30, government forces violently dispersed protesters, which is considered by many a turning point in the events of Euromaidan. Up until that moment, the signing of the Association Agreement was the protesters’ only demand. Escalating violence from government forces caused them to start demanding the resignation of President Yanukovych and the government. After a relatively calm and peaceful period, the protests escalated to violence once again in January 2014 and peaked on February 18, which is considered the first day of the Ukrainian revolution of 2014, also known as the Revolution of Dignity or the Euromaidan Revolution. On that day, some 20,000 protesters advanced on the parliament in support of changing the country’s political system back to the semi-presidential system. The police blocked their path, and the confrontation quickly turned violent. After several days of violent protests, Yanukovych agreed to sign the Agreement on Settlement of Political Crisis with the opposition leaders. Despite the agreement, the clashes continued in the city’s government district, and an impeachment bill was introduced in the Verkhovna Rada (Ukrainian parliament). On February 21, Yanukovych fled the capital. The next day, the opposition took control of Kyiv. The parliament impeached Yanukovych, named Oleksandr Turchynov as interim president, and scheduled snap presidential elections for May 25. The Revolution of Dignity is said to have played an important role in the national self-determination of Ukrainians, who demonstrated their desire for freedom and unwillingness to tolerate the infringement of their rights and dignity. To emphasize the importance of the revolution for the country’s present and future, the newly elected president of Ukraine Petro Poroshenko designated November 21 as Dignity and Freedom Day. Although Dignity and Freedom Day in Ukraine is not a non-working public holiday, it is considered to be one of the most important events in the country’s calendar of holidays and observances. It is marked with ceremonies, demonstrations, and other special events held throughout the country.